01. 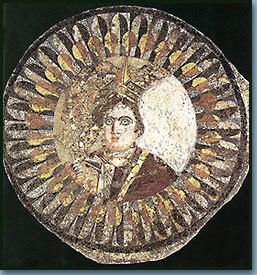 Mosaic with a representation of a female figure, who depicts the personification of Alexandria. 2nd century BC.